This red fox dance staff has a full fox head and skull. 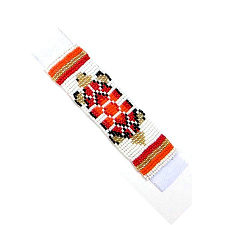 The staff is wrapped with authentic buckskin and there are many buckskin fringes decorated with glass crow trade beads, brass beads and brass cones. The buckskin has been treated with a special process to give it the appearance of old leather. This process also helps to preserve the leather for many generations to come. This dance staff has many long golden pheasant tail feathers, which are held in place with brass cones. 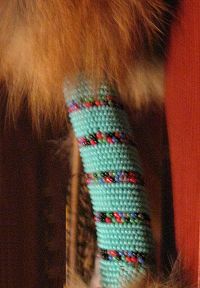 This staff also has a 5" section beaded with glass seed beads in turquoise with black and multi-colored accents, and there is more fox fur above and below the beadwork. The end of the staff is finished off with extra long golden pheasant tail feathers, and there are more pheasant feathers along the length of the staff. 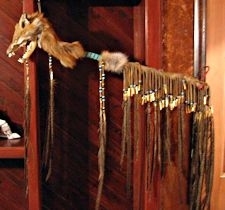 A long strand of horse hair and another feather adorn the skull. Overall length of this staff when hung vertically is about 59 inches, including the long feathers that extend beyond the staff. There is a loop for hanging at the base of the head. If hung horizontally, this staff is about 34" wide X 26" long. This red fox dance staff can be shipped internationally. However, check with your local customs office to be sure these fox parts and feathers can be imported to your country or state. We are not responsible for items seized by custom agents or state inspectors. Feathers cannot be exported to New Zealand. Additional postage may be required if going outside the continental US. 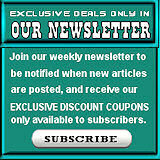 Additionally, there may be an $85 inspection fee for pheasant feathers going to some countries. If this is the case, we will notify you after we receive your order, and you will have the opportunity to accept these additional charges or cancel the order. This product was added to our catalog on 11/30/2008.